"In my job as a church rep for LifeWay, I visit hundreds of church websites every month. As you'd imagine, many churches are behind the curve on Web design, if they even have a site at all." Who or what in your church is likely to make the first impression on visitors? Is it your parking lot volunteers? Door greeters? The person manning the welcome table? Well, if you're like many churches in the Western world, it's none of the above. Instead, visitors are likely making first assumptions about your church from its website. As such, it's worth considering whether your site is being a faithful greeter to guests or if it's spreading unintentional lies about who you really are. Here are five digital dishonesties your website (or lack of one) might be guilty of communicating. Lie No. 1: You don't exist. Let's start with the basics. If your church doesn't have a website, then to most of the population, you essentially don't exist. This is especially true for the younger generation. I'm a millennial who's moved several times. As I've settled into each new city I've called home, I've never stepped into a church I didn't first visit online. If your church doesn't have a Web presence (or if your current site is in need of a makeover), check out LifeWay's online content management services known as Twenty:28. Lie No. 2: Your church is apathetic to receiving guests. I've visited many church websites that brag about how friendly their people are. However, these claims of hospitality lose credibility when the physical address and meeting times of a church are nowhere to be found on its website. It's been said church websites are the new front doors for guests. If that's true, forgetting to include your church's when-and-where information is like leaving off the doorknob. Bridge the gap between your digital and physical presence by ensuring these critical elements get top billing on your site. Lie No. 3: Your church is in transition. We live in a visually-driven culture accustomed to seeing profile pictures attached to anything that is communicated online. Because of this, the absence of a high-quality "Meet our Team" page often communicates the church is void of leaders and is in a state of transition. Counter this by placing professionally-taken photos of staff members and volunteer leads on your site. This reassures guests you're a vibrant church made up of invested people. Lie No. 4: Discipleship isn't important here. Too often, churches use their website only as a marketing tool. That is, content is geared solely for guests. There's nothing wrong with using your website to reach those looking for a church home. However, if your site contains nothing of value for current members, it sends the message that discipleship is not a priority. To remedy this, consider adding a blog to your site where you regularly post edifying articles that can easily be shared on social media. Along with posting your sermon audio/video files, consider including links to study guides, discussion questions and other resources. Lie No. 5: This church is too confusing. There's a tendency for churches to dump an overload of information on their websites just because they can. 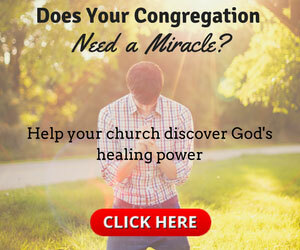 I recently visited a church website that had a dozen menu options greeting visitors on its homepage. (If you don't see why this is a problem, try putting twelve "Enter Here" signs on random doors of your church building and see how it goes). 1 Cor. 14:33 says God is not a God of confusion. 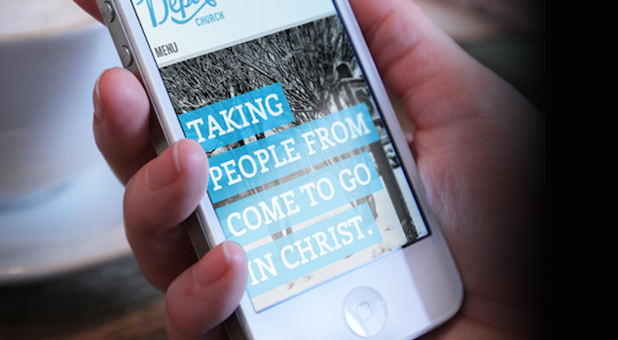 Imitate this godly characteristic by simplifying your site with a clear path for guests to travel when they visit. Give your home page a prominent "I'm New Here" button and move the backpack instructions for the upcoming youth ski trip to a secondary location. There are many other ways websites can be guilty of propagating misconceptions about the church they represent. Perhaps the best method for avoiding these digital distractions is to approach online communication with the question of "Why?" By anchoring each Web-based decision to the mission statement of the church, communicators ensure their site is purposely being stewarded as a tool for kingdom growth. Aaron Wilson is a Retail LifeWay Representative in Charlotte, North Carolina.